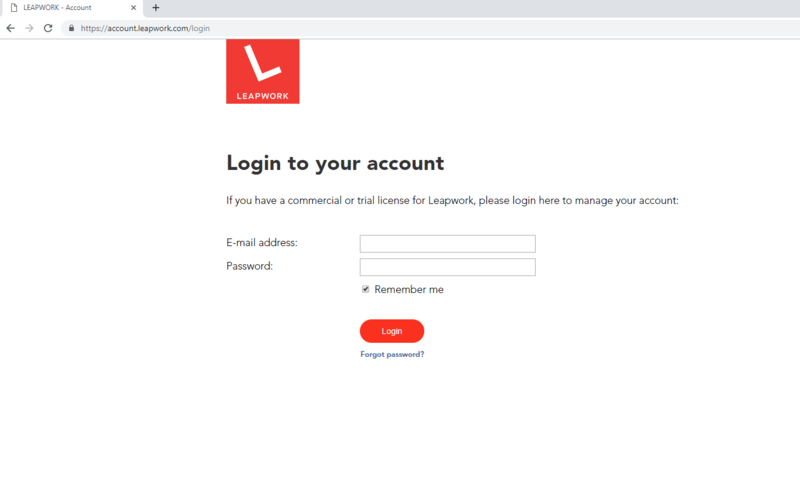 LEAPWORK Web password and LEAPWORK platform password are two different user credentials which are used for the specific purpose. 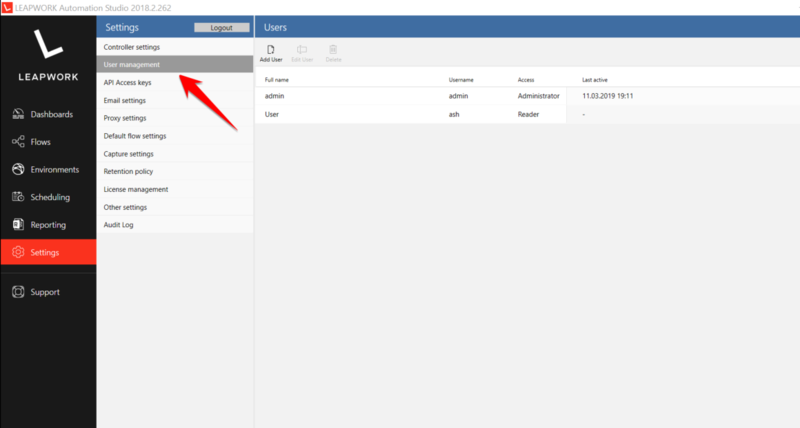 In case user forget the password, they can click on Forgot Password link as shown above. On click of the same, users are required to enter their registered email address on which they will get an email with a link to reset the new password. LEAPWORK platform credentials are the one that users set in the LEAPWORK studio so as to manage the roles and privileges of different members of a team. 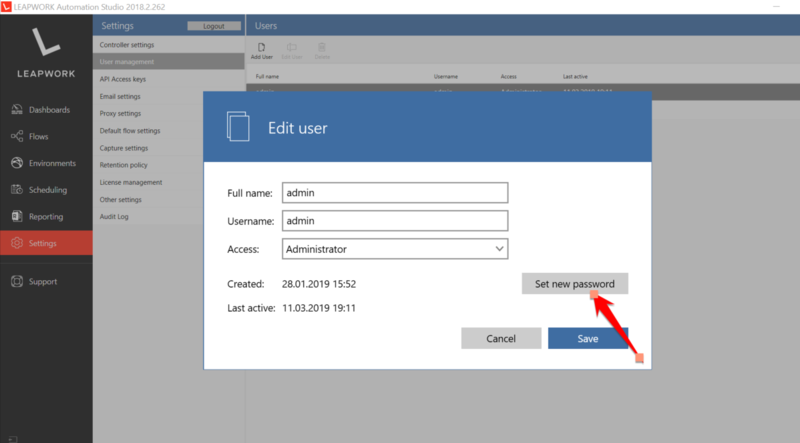 Suppose, a user who has been added in the LEAPWORK User Management has forgotten the password and is not able to login to LEAPWORK Studio as he is not able to access his user role. 2. Click on the User for whom you want to reset the password. A window popup will open.